1. Open the below link and make sure that you have met the system requirement for installing SEP 12.1. 2 .Open the CD drive and double click on 'setup.exe'. <CD drive>:\Setup.exe. 3. It will give you an introduction window that these set up file will perform. Click on 'Next'. 4. 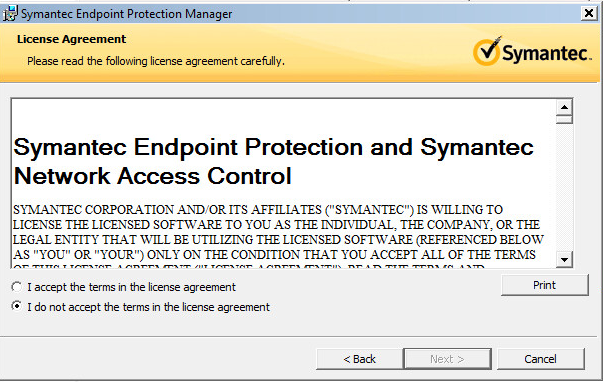 Read the License agreement and accept it to continue on 'Next'. 5. 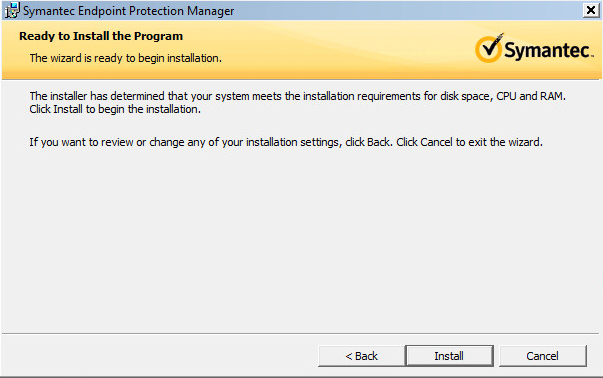 Assuming default program files location, click 'Next' and 'Install' to start the installation. If you would like to change the default directory click on 'Change' button and browse the directory. 6. 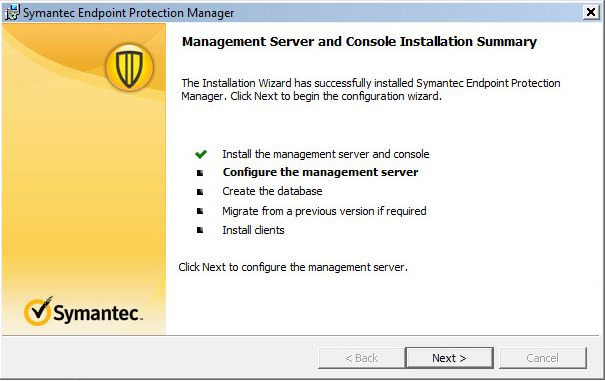 Once the installation is completed you need to configure the SEPM console. 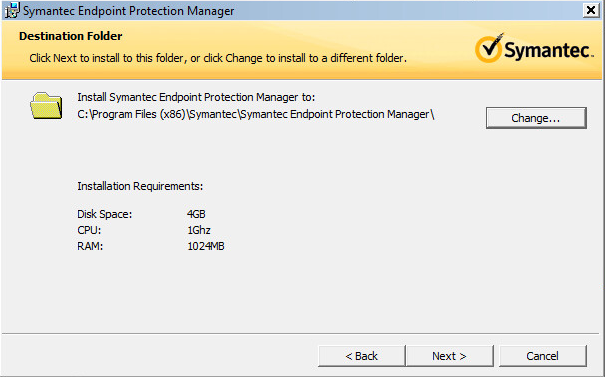 So you will have the below window to configure the SEPM. Click 'Next'. 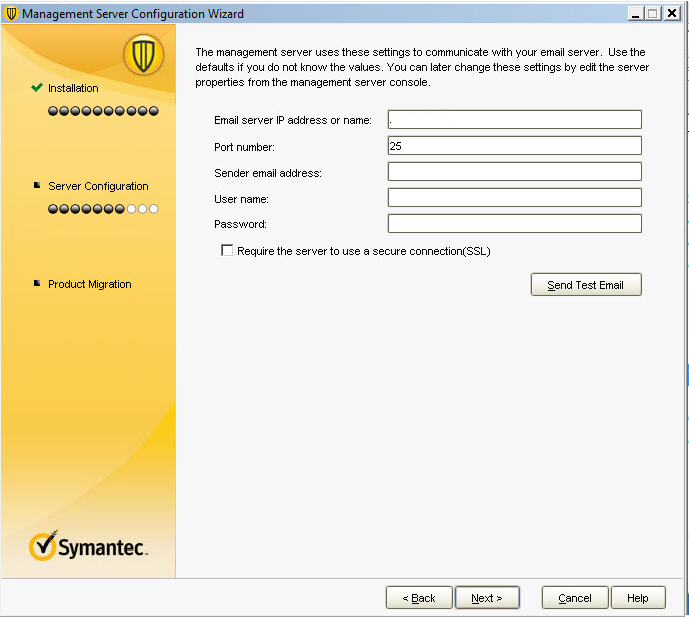 Note: This manage server configuration window can be run later if we need to make any changes once it is configured. 7. Choose the configuration type, 'Default configuration'- Use this option only if you have client to manage less than 100 or 'Custom configuration'- When the number of clients are more than 100 clients and when you want to customize the installation. The 'Default configuration' will automatically install a local embedded database and use default values for most other choices. 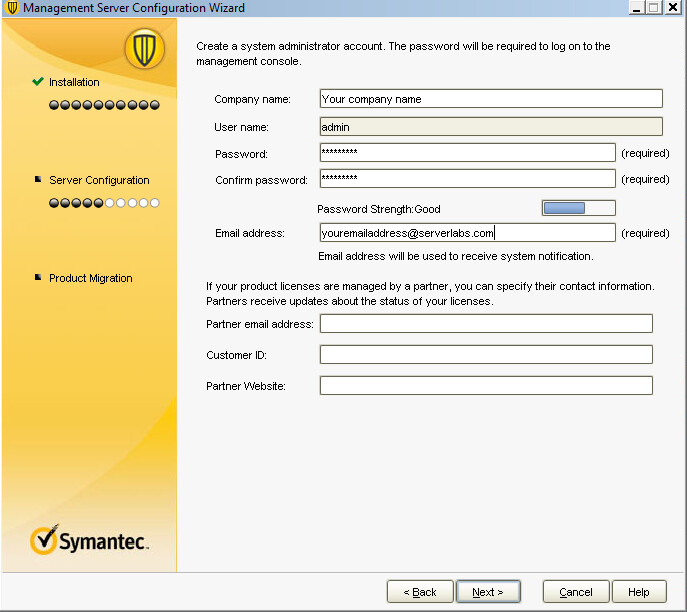 The 'Custom configuration' It allows you to use the local embedded database or a local/remote Microsoft SQL database, and you can customize most other choices (such as communications ports and encryption password used in client communications). Note : A recovery file is enabled only for re-configurations or re-installations. 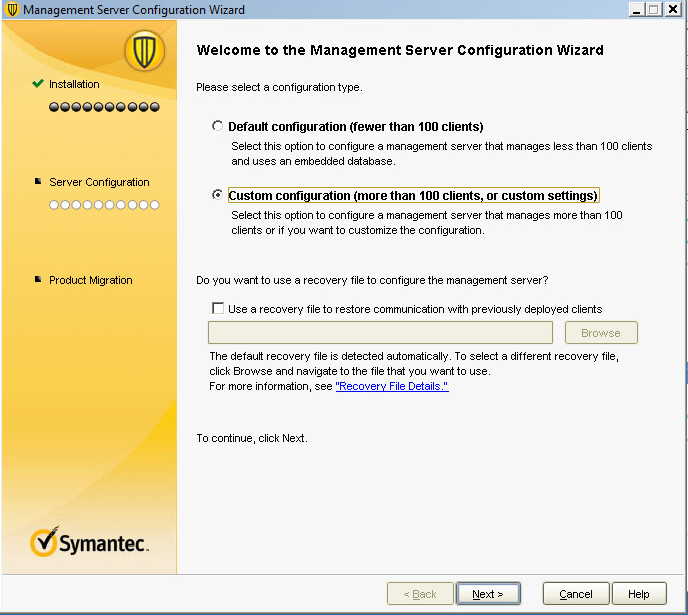 In Small Business Edition, there is no option for a recovery file and setup proceeds automatically to the Default configuration; that is the only choice in that version. 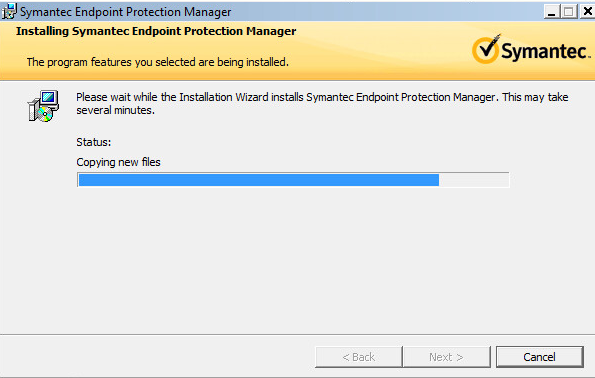 Here I will continue with the installation as custom configuration. Click on 'Next'. 8. 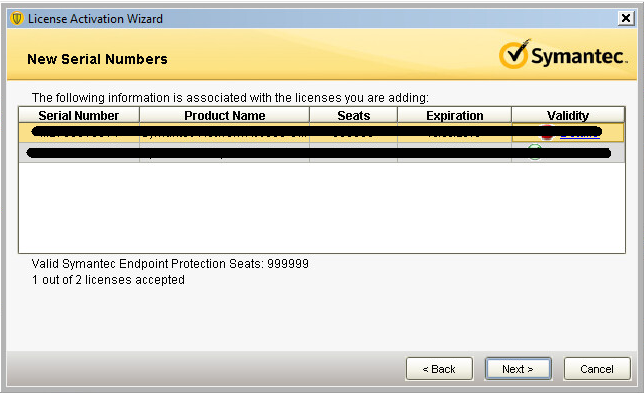 On next step you need to specify the number of clients that you have in your network. Select the check boxes appropriate for your network and click 'Next'. This option will install a management server in your network, usually used when its your first SEPM server in your network. It contains a database and one or more management servers in your network. When you already have a primary management server and need to configure other server for fail over and load balancing you can select this option. This will install a management server and database for replication. It will be an additional copy of your primary SEPM server. 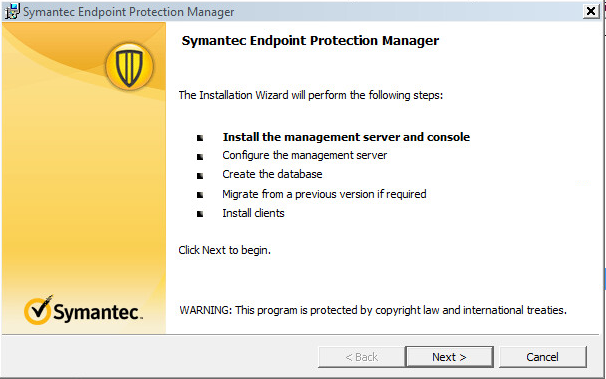 Since this is my first SEPM server I have select 'Install my first site' and click on 'Next'. 10. It will get you to an another window which will list the management server details. It is worth to make a note of all ports details as it will be useful in various troubleshooting methods. Click 'Next'. 11. Now you need to specify the database details that you want to store the information of your SEPM server and clients. Click 'Next'. Note : It is recommended to use Microsoft SQL server when you have client computers more than 5000. If you chose Microsoft SQL, you will next choose "create new database" or "use existing", and provide SQL authentication details in subsequent dialog. 12. Now specify your 'company name', 'user name' and 'password' for SEPM console and your 'e-mail id', Click 'Next'. Note: If your product licenses are managed by some partners you can specify those details as well, hence they will receive the updates about the status of your license. If you chose Microsoft SQL, you will next choose "create new database" or "use existing", and provide SQL authentication details in subsequent dialog. 13. 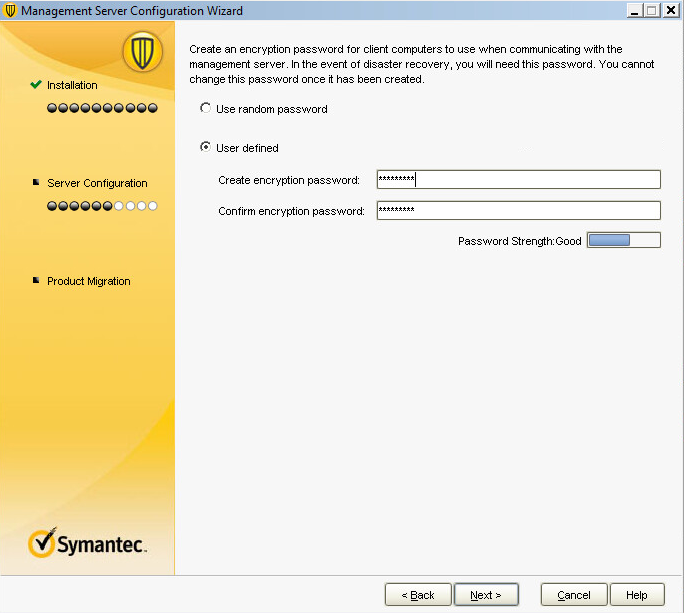 Now specify a recovery password which will be required in the event of disaster recovery and you will not be able to change it if it is configured once. Select the option as 'User defined' and specify the password. Click on 'Next'. 14. Now you need to configure your email server details so that you will receive automatic e-mail alerts based on the criteria that you mention. This is an optional settings, click on 'Next'. 15. 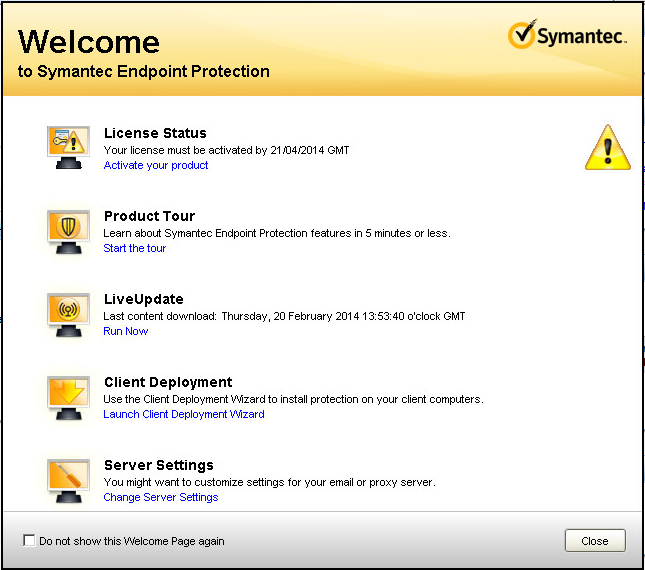 On 'Data collection' window you can either select the check box which will send your network licensing, type of usage and the viruses detected details to Symantec to improve the functionality of SEP, Click on 'Next'. 16. 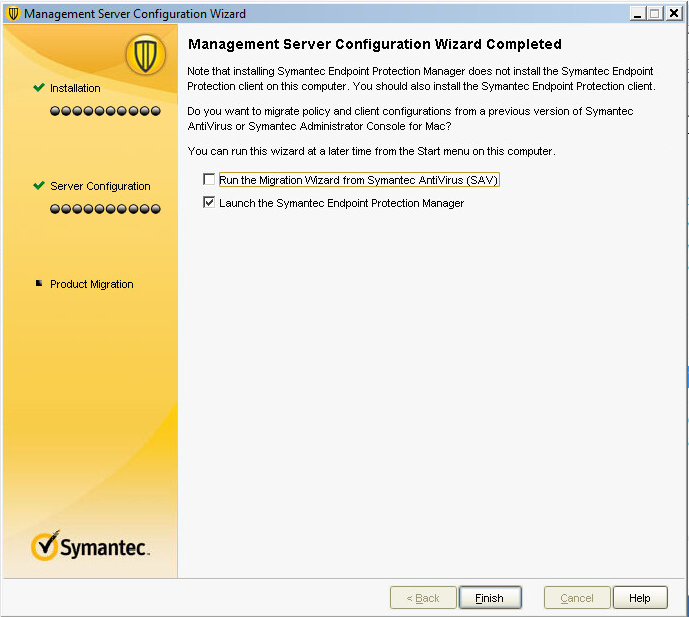 It will start initialization and configuration of SEPM as specified. Wait until it completes. 17. Once the installation is completed you will have the window as shown below. Select the check box as per your requirement. I will launch the SEPM console to add the license file to it. Click on 'Finish'. 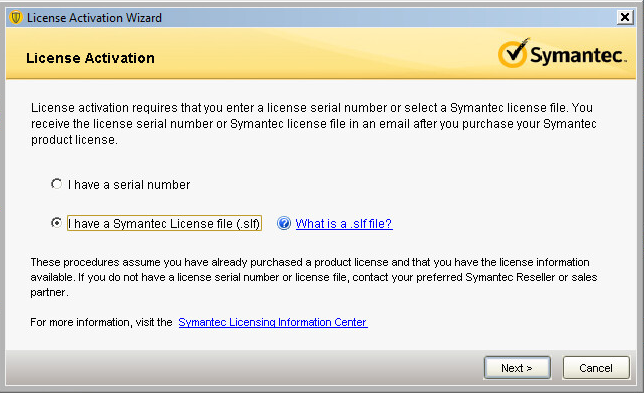 Performing the below steps will help you to add the license file. 18. 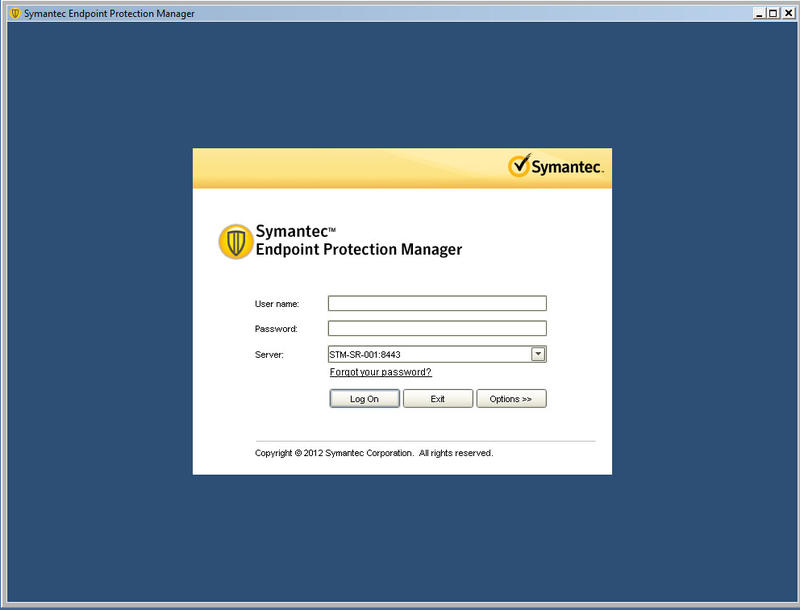 Enter the user name and password to open the SEPM console. 19. 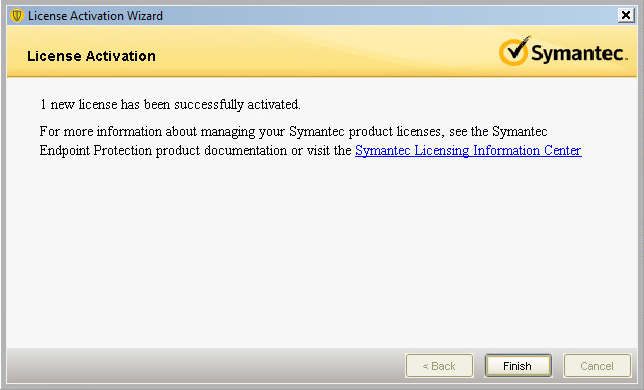 On the Welcome window select 'Activate your product'. 20. Select the option as you have. 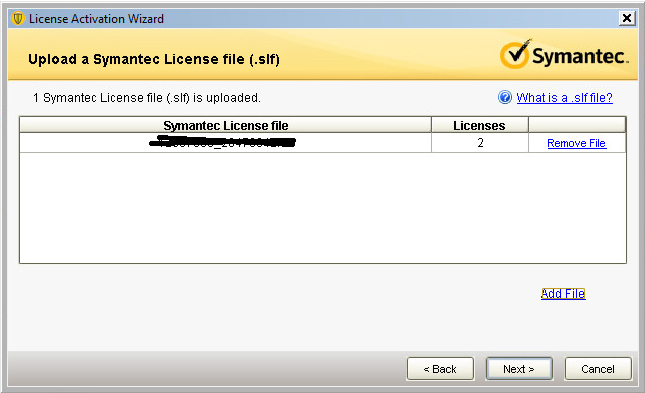 I have the .slf(Symantec license file) hence selected the option 'I have a Symantec license file(.slf)'. Click 'Next'. 21. 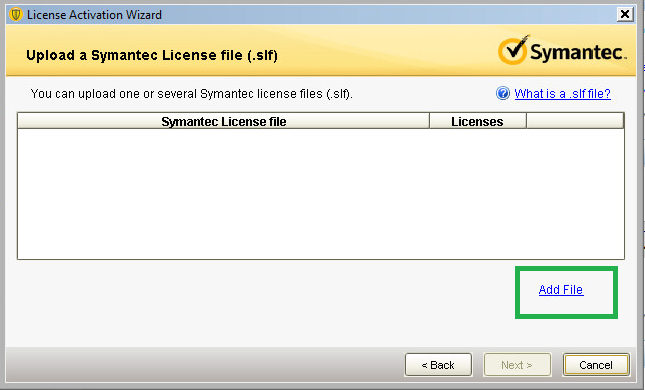 Click on 'Add file' and browse the location of license file. 22. Once it is added you will see the file on this window and click 'Next'. 23. Now it will list out the details of license file added number of licenses, Expiration and validity. 24. Click on 'Finish' button to complete the steps. If you would like to know more about the features of SEPM 12.1, please follow the below link.